Blackpink is a K-pop girl group who burst onto the scene in 2016 with a string of hits, including “Playing with Fire” and “As If It’s Your Last,” which garnered them a large following. In 2018, they released their single “Ddu-Du Ddu-Du,” which achieved international success and became the highest charting ever K-pop song by a girl group in the U.S. They also collaborated with English singer Dua Lipa for her song “Kiss and Make Up,” which made them the first K-pop girl group to ever chart more than one song in the US. After this success, they signed onto a US record label, Interscope Records, and started gearing up for the release of their newest EP, “Kill This Love”. On the brink of massive stardom and off the heels of an announcement that they would be performing at Coachella, expectations were high for Blackpink’s comeback. 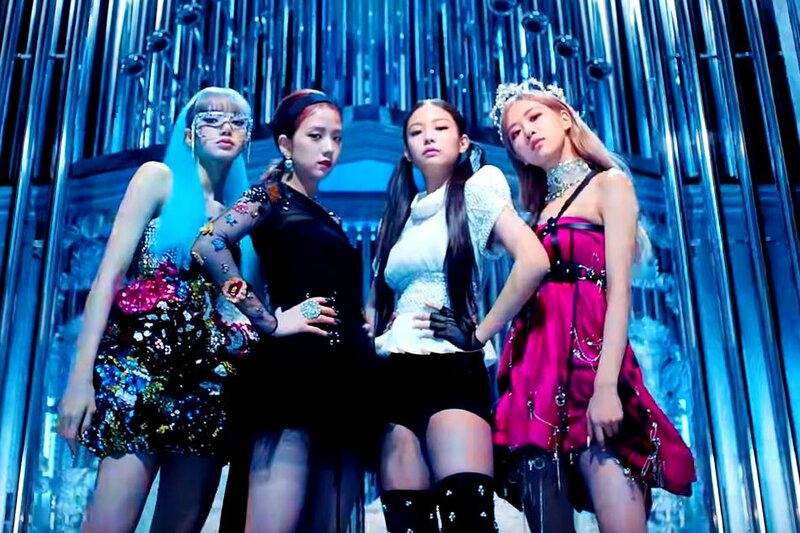 Unfortunately, “Kill This Love” fails to match the quality of their past music. K-pop focuses heavily around the lead single, which, for this project, was the title track “Kill This Love”. This song is perhaps the most disappointing on the EP and their worst single to date. Blackpink has a history of making songs that sound a little disjointed and spliced together, but “Kill This Love” is the worst offender they have had of this thus far. Very few elements of the song actually work together, with each of the four performers bringing a completely different vibe and style to the song that just do not work together. With more seamless transitions between the different parts of the song, it could have been extremely effective, or at the very least, more ambitious. Instead, it comes across lazy and unfinished. Additionally, by their standards, the chorus is very disappointing. Rather than vocal rhythms and hooks like they usually rely on, the chorus is pretty much entirely comprised of a single hook followed by over-the-top trumpets and some ad-libs, and it results in a feeling of the song merely sounding loud for the sake of being loud. Many of the other parts of the song sound extremely promising, especially the pre-chorus and the bridge, but the chorus completely fails to deliver on this. And worst of all, when the song is finally starting to sound like it might be going somewhere interesting, it ends. Thankfully, the rest of the EP is not as thoroughly disappointing as the lead single, though nothing quite reaches the peaks of their past music. “Don’t Know What to Do” almost sounds like a newer Avril Lavigne song, which was an unexpected direction for Blackpink that they manage to pull off at times and ends up being the strongest new song on the project. “Kick It” feels lazy and trend-hopping but not overall terrible; it is just another disappointment. “Hope Not” is a cute ballad that does not do anything more special than their past ballads did, “Stay” being the highlight, but is probably the most cohesive song on the EP. It ends on a remix of their mega-hit “Ddu-Du Ddu-Du,” which ends the EP on a very strong point, as both the original song and the remix are fantastic, but it says a lot about this that the best song here is a remix of an older one. When Blackpink was on the verge of becoming mega global stars, it seems like they are experiencing their first musical stumble. Their format of throwing a lot of energy into a song and hoping that will carry it seems to have run dry, and with the short lifespan of most K-pop groups, they will need to reverse course fast if they want to retain their current success.